← Snoopy vs the Red Baron and Other Great Memories! SOLD! 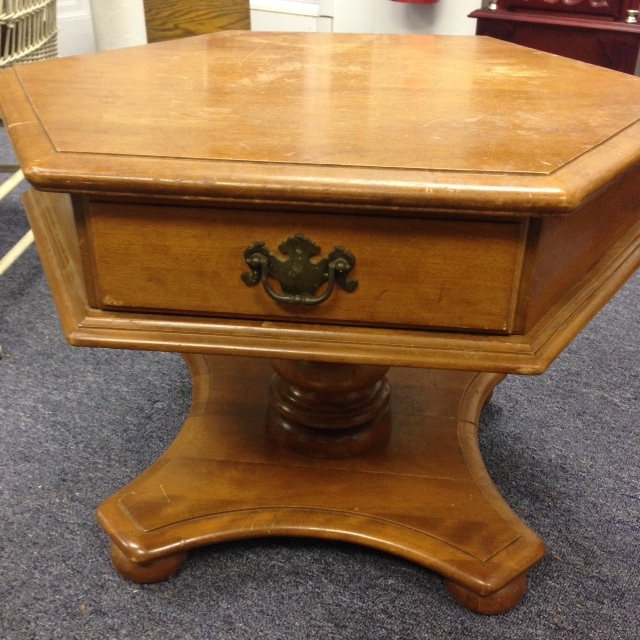 Pedestal Style Ethan Allen Coffee Table – A Great Project Piece! 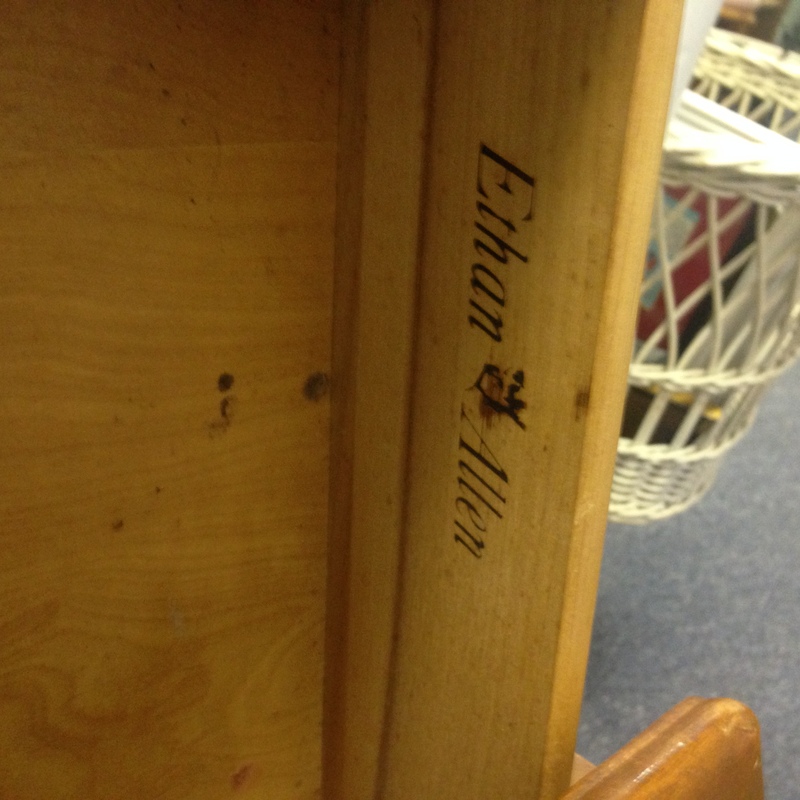 Ethan Allen is a name known for the quality of their furniture. 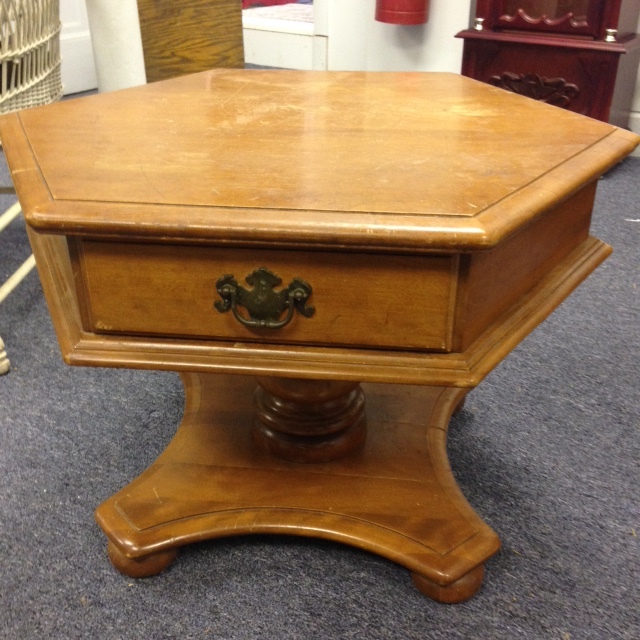 Brand new and in perfect condition, this one-drawer, pedestal-style coffee table would go for hundreds of dollars. However, our piece has been well-loved (a euphemism for “somewhat scratched up”), so the price (was $85.00; now $42.50) reflects it. 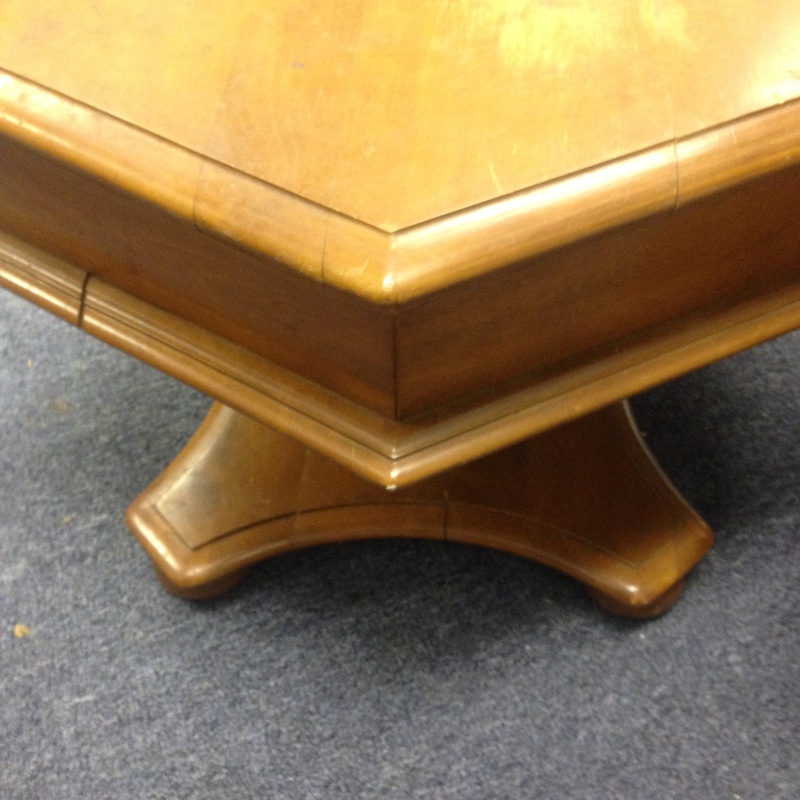 Refinish this great, sturdy coffee table and you’ll have a wonderful, classic piece! 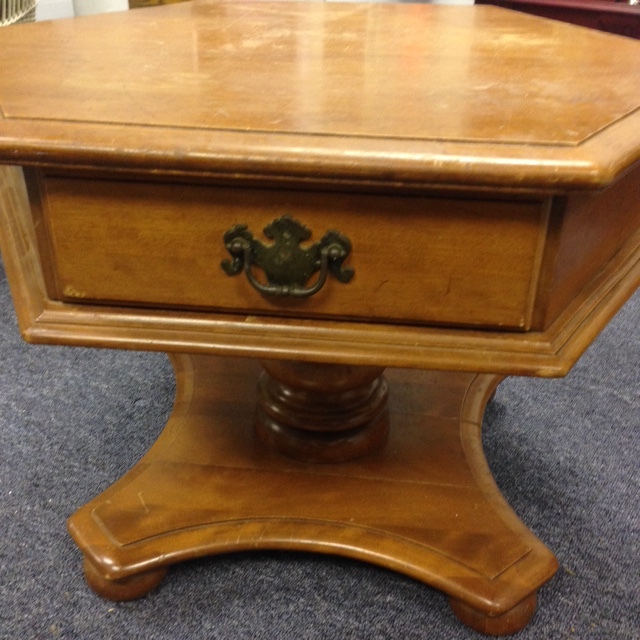 Condition: As shown; the piece is in good condition but needs to be refinished. 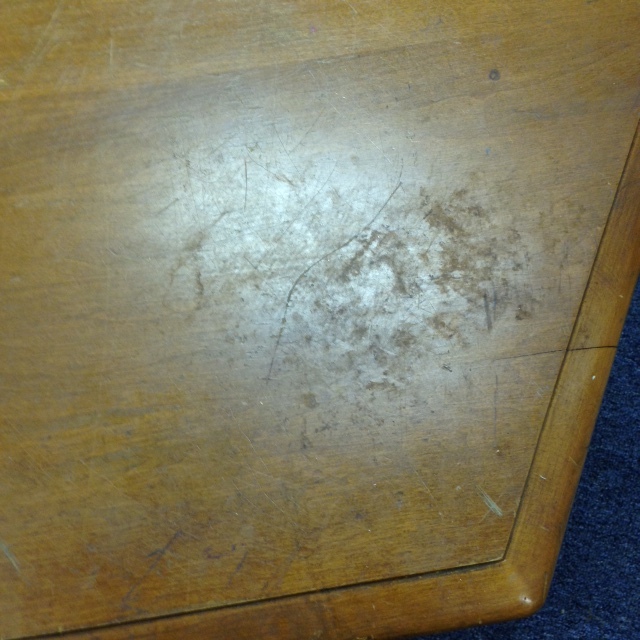 Showing minor damage to the table top; needs to be refinished. 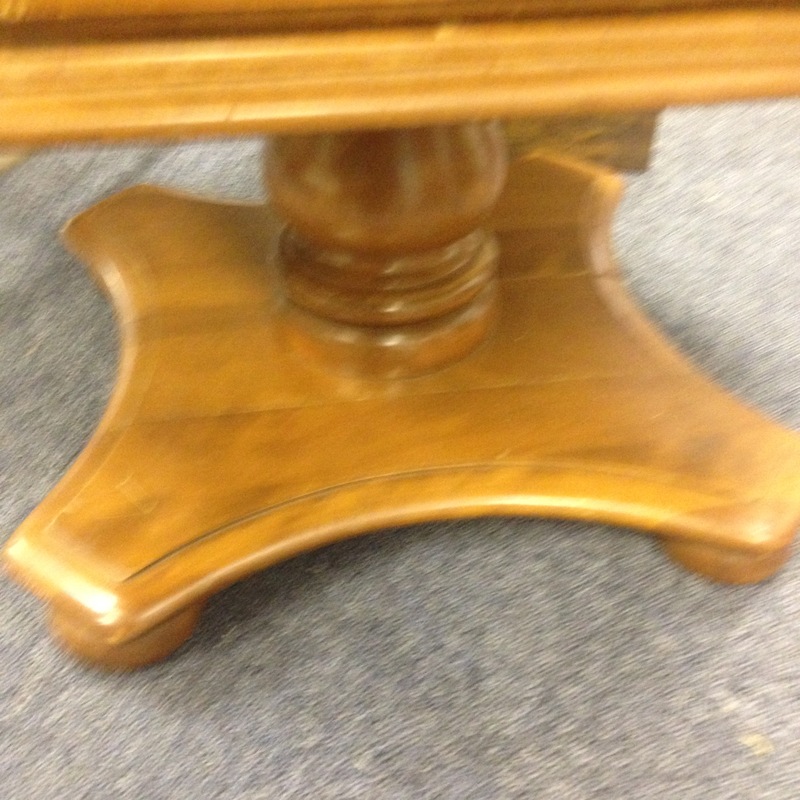 Price: Reduced! 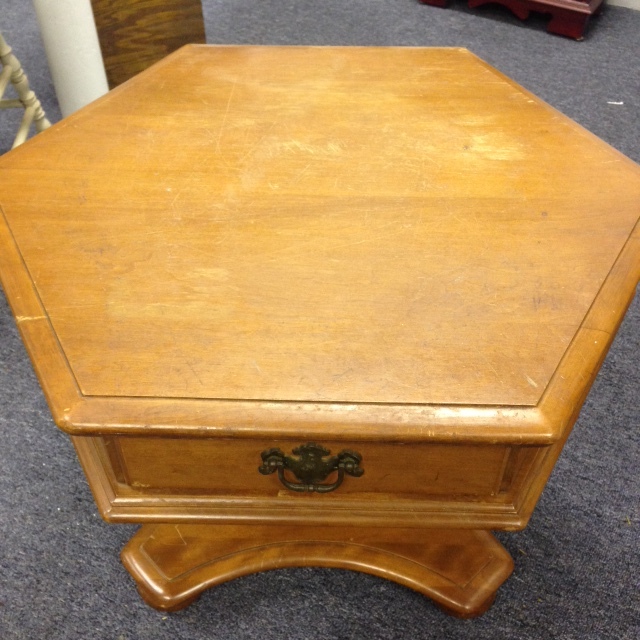 Now just $45.00. 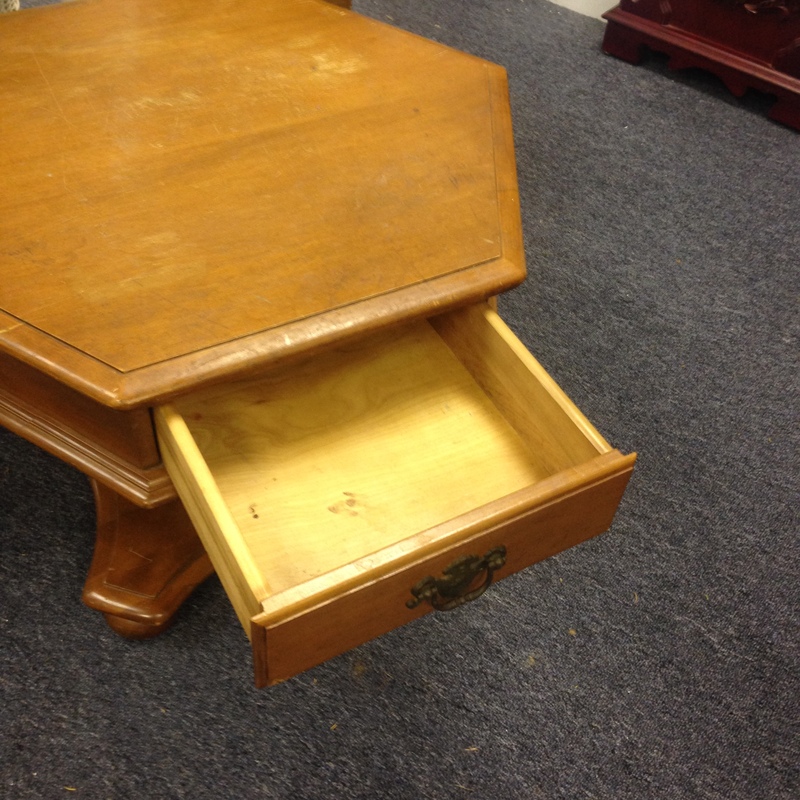 (Was $85.00.) Maine State Sales Tax of 5.5% applies. Please come on in and check out our growing selection of Maine maps, town reports and other historical materials. 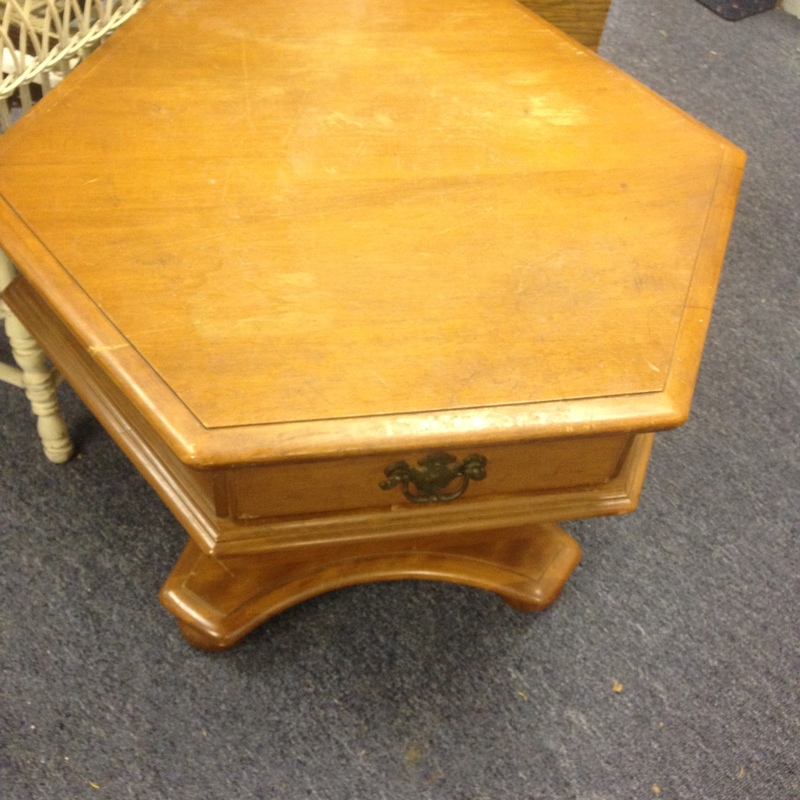 This entry was posted in Furniture - Classic but Contemporary, Furniture - Miscellaneous and tagged classic coffee table, coffee table, Ethan Allen, Ethan Allen coffee table, one drawer coffee table, pedestal coffee table, traditional coffee table. Bookmark the permalink.